The Current Health Scenario. : Swami Brahmananda and Homeopathy. Revered Swami Brahmanandaji is the first President of the Ramakrishna Math and the spiritual son of Sri Ramakrishna. He was an avid fan of homeopathy and had studied it. He was very keen that a few Monks of the Math practice it. When they protested saying that they knew nothing, the Swami requested them to get acquainted with the names of the common remedies and prescribe the one that came up in their minds after listening to those suffering. Strangely the Monks became famous in their practice following this dictum. One of them even treated Holy Mother successfully and She was dependent on him for medicines. However Swami Brahmananda did not do much for homeopathy beyond this and it rankled me. One day I discussed this with a very senior Swami of the Math. What he said was amazing. It seems while Swamiji was residing at Bhubaneswar a homeopath asked him the same question. Swamiji went into a meditative mood on hearing the query. Then he said something very profound. "Homeopathy interferes with destiny. It can stop the marauding progress of Kaal." (Kaaler goti rodh kore dite pare). My head was spinning and I studied up on Kaal from Bengali texts on Tantra. When the manifested world comes into being everything is interwoven into it - growth, progress and destruction in cycles and also as a whole; this is the essence of Kaal – the Timekeeper. None can stop the progress of this programme that is joyful and menacing, creative and destructive, assuring and cruel. Everything is predestined in the broad sense. The Trikaaldarshi's can tap into it and look at the past present and future. Is there no way to escape it? It depends on ones view of things. 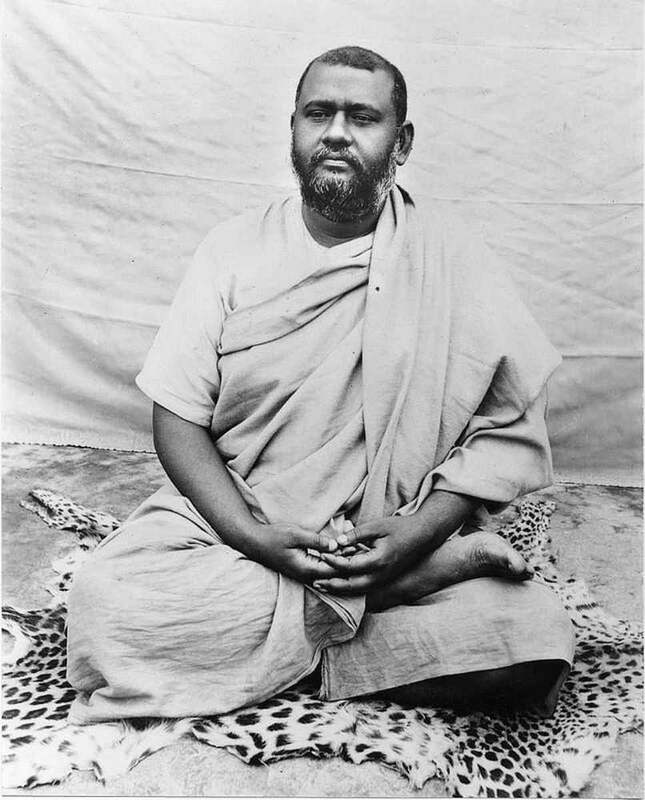 Sri Ramakrishna while specifying that even the leaves of a tree cannot shake without the will of the divine, had talked about surrender to that will by cultivating intense devotion to the Lord and dispassion. Sri Ramakrishna had predicted the imminent end of the Kali Yuga and used to appeal to devotees to at least take the name of the Lord and remember him. This is the sole reason he had permitted quacks to rule. The time is short, he had said, and people would suffer poor health and loss of vitality. Perhaps the village quack alone could provide immediate relief and the experienced vaidya would fail. Such foresight in both the Avataar and his dispassionate spiritual son! Incidentally neither Sri Ramakrishna nor the Holy Mother blessed any modern doctor. The Mother pointedly said she would not bless them because they profited from the suffering of people.